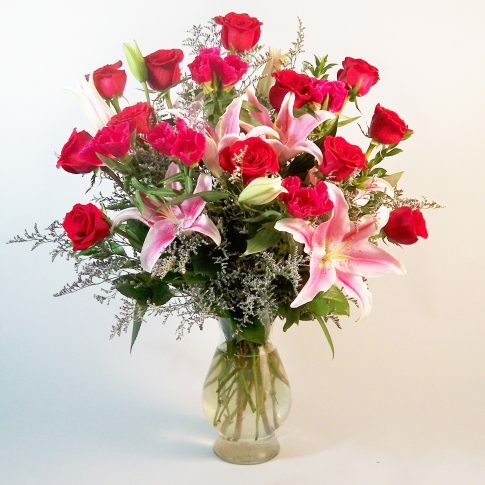 A dozen premium long stem roses is a terrific gift and by introducing fragrant pink lilies and pink godetia really makes those roses look magnificent. Excite the special ones in your life with this powerful expression. Standing 24” tall and 18” wide.